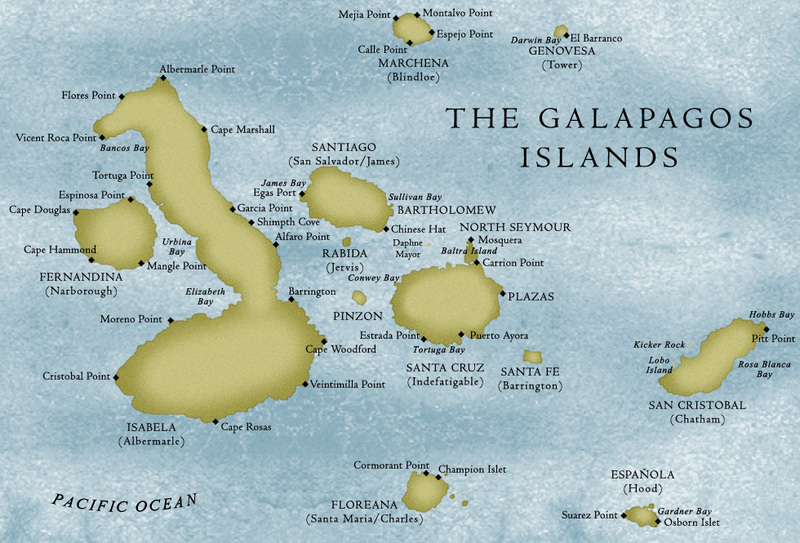 Galapagos are a group of islands that are located in the Pacific Ocean, 604 miles west of Ecuador. 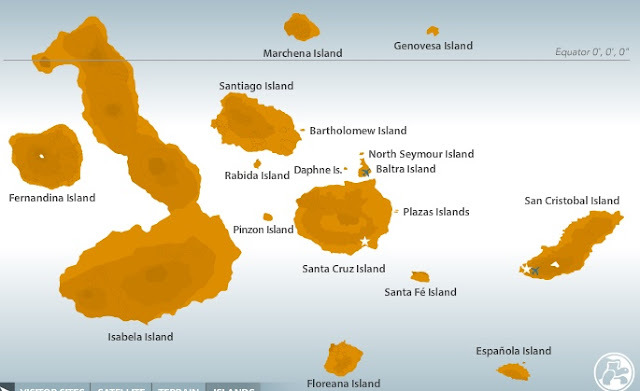 The archipelago consists of 13 large islands, 6 medium islands and more than two hundred islands. 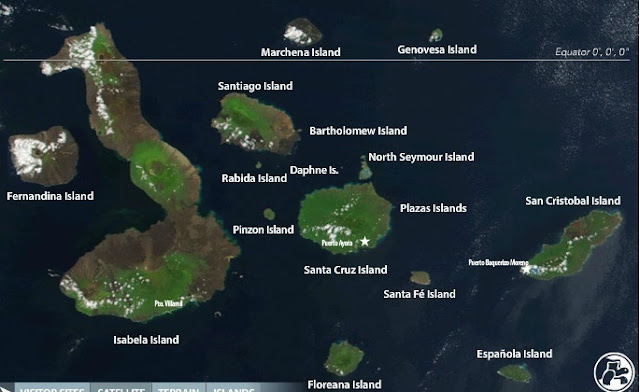 The Galapagos Islands were declared a Natural World Heritage Site by UNESCO in 1978 by the variety of its unique flora and fauna in the world and the beauty of its landscapes. In the map of Galapagos Islands below you will see that this is an Archipelago composed of various Islands. Here is where the Galapagos Tortoise live. 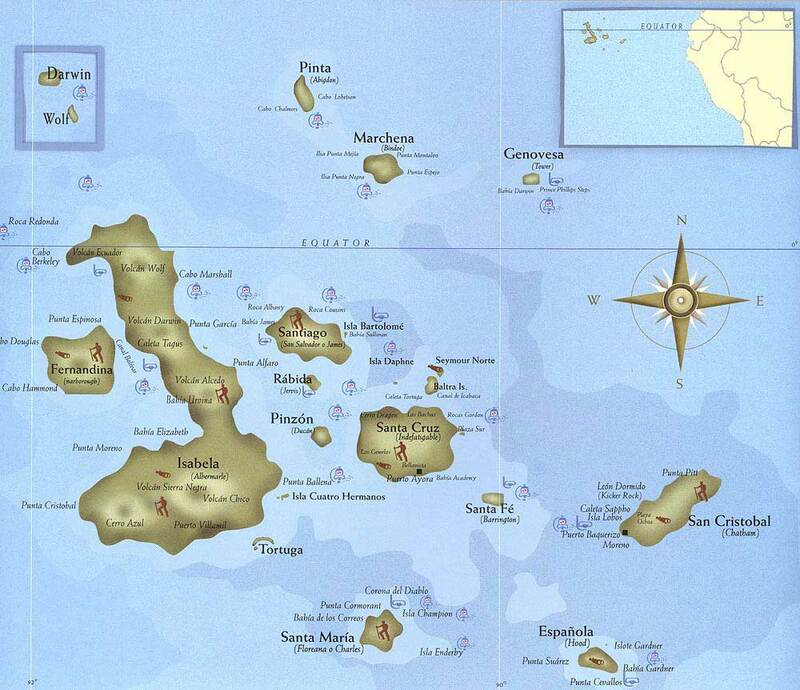 The islands occupy around 50,000 sq km (19,500 sq miles) of Ocean. San Cristobal Island is located at the right of the above map of Galapagos Islands. 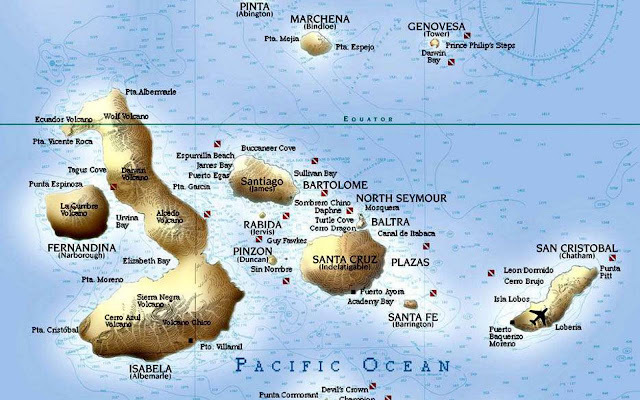 This is where the Galapagos Capital City -Puerto Baquerizo Moreno- is located. There's much to see and lots of activities to enjoy at San Cristobal Island. The main 13 Islands of Galapagos are Baltra, Española, Fernandina, Floreana, Genovesa, Isabela, Marchena, Pinta, Pinzon, San Cristobal, Santa Cruz, Santa Fe and Santiago.